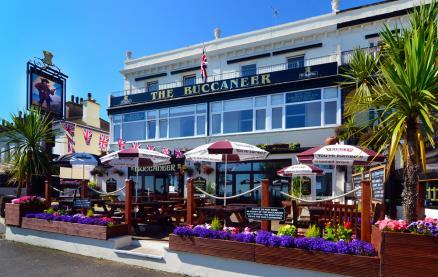 The Buccaneer, a traditional pub with a bar, lounge/dining room and decked patio is perched atop the highest sea-front promenade in Britain, with stunning views across Lyme Bay to the East Devon and Dorset coastline. 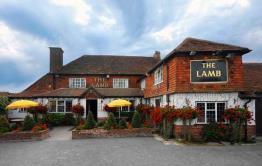 Food is served all day and the menu includes traditional pub fayre and speciality dishes. 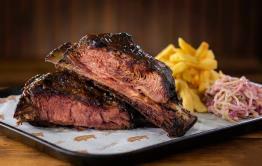 Local meat and seafood specials are regularly available. The Buccaneer always has three St. Austell real ales on tap. The first floor of the inn houses two large luxury rooms with stunning sea views which are available for short breaks throughout the year. 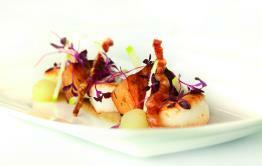 Be the first to write a review and share your experience at The Buccaneer with other diners.